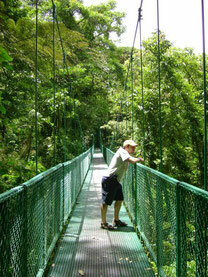 Monteverde is a great destination to experience the culture and traditions of Costa Rica. Offers serenity as you’re enveloped by the mountainous cloud forest that lets you disconnect from the hustle and bustle of daily life and gives you indescribable peace and tranquility. It is one of the richest sites of biodiversity in all of Costa Rica. The area of Arenal Volcano and La Fortuna is something you won’t want to miss on your next vacation to Costa Rica; there you can enjoy grand natural beauty, abundant wild flora and fauna, and a variety of activities that have been developed in the different tourist attractions near La Fortuna and Arenal Volcano. Enjoy Monteverde Cloud Forest and the impressive Arenal Volcano and the rainforest that surrounds it. You will be able to experience a wide variety of activities and enjoy a part of Costa Rica which is unique and very special. You can not miss it. 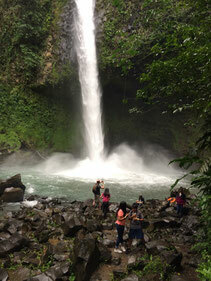 Both places are considered a major ecotourism destination in Costa Rica. - We offer you this package full of adventure and nature. We start the service when we pick you up at the Costa Rica tourist destination that you specific (Please check availability), and take you to your hotel in Monteverde. - Check in at the hotel that you choose. - At 1:00 pm we meet with you to take you to enjoy the most beautiful views of the forest, and the extreme adventure full of adrenaline with the Monteverde Extremo Canopy. 15 cables, the longest 1km. 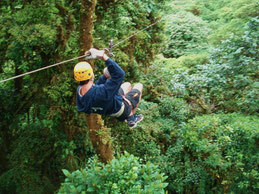 + Rappelling + Tarzan Swing. - After breakfast we meet with you at the hotel to take you to Selvatura Park, for the hanging bridges hike, the best way to enjoy the canopy of the cloud forest, 3 km of trails (1.9 miles), and eight bridges with a length of 50 and 170 meters, with altitudes between 12 and 60 meters, with a capacity of up to 80 people in each bridge, providing maximum security, this trek usually lasts for two hours. - Around 2:00 pm we provide the three hours trip to La Fortuna - Arenal, across the lake, and this is the fastest way, nicest and comfortable to move between these two tourist sites. 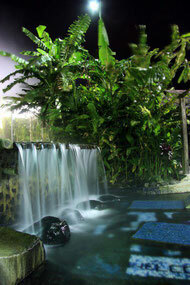 - Check in at the selected hotel in the Arenal Volcano area. Day 3.- Arenal Volcano one day, all the main attractions. -After breakfast, around 7:30 am starts a day full of scenic beauty and nature, by visiting the different attractions that this area of the country offers. -The first part will allow you to enjoy the calm waters of the Rio Penas Blancas, to observe birds, monkeys, sloths, among others. -After enjoying a delicious typical Costa Rican lunch, we will visit the Rio Fortuna waterfall and enjoy the crystal clear waters. -Continue up to the Arenal Volcano National Park and walk along its paths to reach the closest point that is allowed, the lava flow 92. -And the best way to end up a perfect day, rest and relaxation in the hot springs of Baldi, and also enjoy dinner at the same place. - Full breakfast is included. - After this, we will provide you the shuttle service to your next touristic destination in Costa Rica. You can choose in the morning at 8:00 am or in the afternoon at 2:00 pm (Check availability). - If you choose to take the shuttle in the afternoon, this will allow you to enjoy either some extra activity (check prices and times) or relax and enjoy the facilities that your chosen hotel offers. Published rates are per person based on double occupancy. Consult rates of groups or families. Rates expressed in US dollars in US dollars. Rates may vary more or less depending on the date of your visit. If you have your own transport, check our rates for this package excluding transfers, with the best offer.